Google Mobile app fans, rejoice, as rebuilt the app from the ground up, and launched the updated version earlier today – a much needed overall in our opinion, as its predecessor was not much more than the online version of the search engine wrapped into a native iOS app. The app sports a new look, a slew of new features, and Google decided to rename it Google Search for the occasion. The user interface is completely new, much more intuitive, and best of all, it offers easy access to most Google services, directly from the app. As usual with Google, the user interface is minimalistic. You can search anything via the search box, or even perform a voice search, if you happen to be driving, or simply do not want to use the keyboard. Search results can be tailored to your needs, via a new sliding toolbar on the left of the screen. The bar allows you to launch other Google services related to what you are looking for, such as Google Goggles, Voice Search, Search with My Location, Gmail, and more. 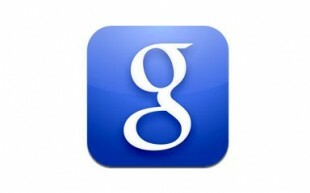 Like with every other Google apps, Google Search for iPhone is free. For more details about the app, click here.